It has a famous glass house which hosts two annual flower shows. Lalbagh houses India’s largest collection of tropical plants, has a lake, and is one of the main tourist attractions in Bangalore.Lal Bagh is also home to a few species of birds. The commonly sighted birds include Myna, parakeets, crows, Brahmini Kite, Pond Heron, Common Egret, Purple Moor Hen etc. The Sky Theatre shown at Jawaharlal Nehru Planetarium are very popular and attract about more than 200,000 visitors per year.The sky theatre is a dome shaped theatre . It shows information on constellations,planets . Visuals such as Cartoons, Paintings, Computer animations, video clippings and special effects are liberally used in the programmes at the sky theatre. Sankey tank a manmade lake or tank, is situated in the western part of Bangalore in the middle of the suburbs of Malleshwaram, Vyalikaval and Sadashiva Nagar.The lake covers an area of about 37.1 acres. The Karnataka High Court is the High Court of the Indian state of Karnataka. It is located in Bangalore, the capital city of Karnataka. The High Court functions out of a red brick building known as Attara Kacheri. It is in front of Vidhana Soudha, which is the seat of the legislature of Karnataka. Pyramid Valley, home for the World’s Largest Meditational Pyramid, is an International Meditation Center serving individuals, societies and organizations in their quest for self realization and spiritual wisdom and helps them unlock their hidden potential.Inspired by the vision of our Founder Brahmarshi Patriji’s that “Masters of the World… Unite”, Pyramid Valley is setup with a core objective of providing a COMMON PLATFORM for all world spiritual masters, to collaborate for a peaceful and love filled planet Earth in the shortest possible time. Lumbini Gardens is a public park on the banks of the Nagawara Lake in Bangalore, Karnataka, India named after Lumbini of Nepal dedicated to Lord Buddha. A one of its kind Water-Front Leisure & Eco-friendly Boating Park, The Lumbini Garden, stretches over 1.5 kms along the Nagavara Lake. Unique in its concept, this absolute family entertainment park holds a capacity to entertain a crowd of over 5,000 visitors per day. A Wave pool, provision for parties & get-togethers cater to the tasteful and enthusiastic public . Bannerghatta Biological Park is located about 22 Kms south of Bengaluru city. It is one among the few places in the world where wilderness is preserved so close to a big city. It is having different units such as Zoo, Safari, Butterfly Park and Rescue Center. 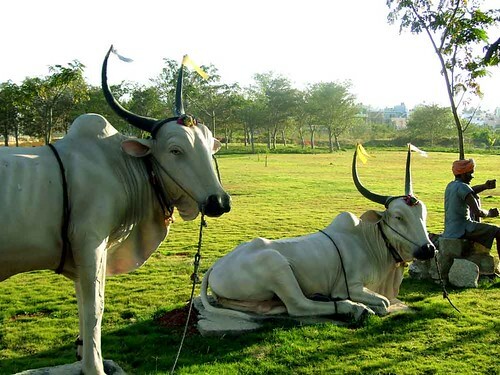 Dodda Basavana Gudi is situated in Bull Temple Road, Basavanagudi, area of South Bangalore, part of the largest city of the Indian state of Karnataka. The Hindu temple is inside a park called Bugle Rock. The Dodda Aladha Mara , literally translated to Big Banyan Tree, is a giant 400-year-old Banyan tree, located in the village of Kethohalli in the Bangalore Urban district of Karnataka. This single plant covers 3 acres and is one of the largest of its kind. In the 2000s, the main root of the tree succumbed to natural disease, and thus the tree now looks like many different trees. The loudest, craziest, and the most amazing part of town. 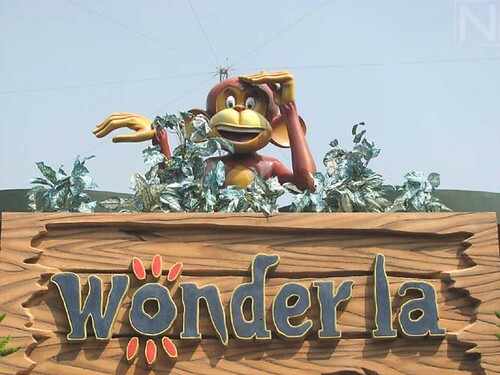 This simply is not just an amusement park, but a world of breath-taking charm. It’s a place to celebrate the smaller moments and share big wonders. Get on one of the 60+ exhilarating rides, or simply laze by the pool under the bright sun. But whatever you do, here, everybody gets a little closer. And that is why we are the Amazement Park. One of the most famous and powerful of such kshetras is the Sri Mukthi Naga Kshetra, which is located off Mysore Road, within a kilometer from the village of Ramohalli, five kilometers towards the Dodda Alada Mara (Big Banyan Tree), and 18 kilometers from the Bangalore bus stand. The locality was named after Rajarajeshwari Temple which is located in the Rajarajeshwari Nagar. This temple is known to many devotees of the Lord Anjaneya in Bangalore by the name “Gali Anjaneya Gudi”. Gali means air and Gudi means temple in Kannada language. This could mean two things firstly because Lord was in Digambara temple originally hence Gali Anjaneya. Secondly since he is son of wind God Vayu hence Gali Anjaneya (Vayu sutha). The Shiv Mandir, located in the heart of Bangalore, is abode to a 65-feet-tall Shiva statue. Seated in a yogic posture, the deity is a towering symbol of faith. Lakhs of devotees throng the temple to experience God, especially on festive days. The majestic Lord sits in a lotus position, and has in the background Mount Kailash, and the holy river Ganges flowing from the His matted locks. The sense of tranquility that one experiences by looking at this 65-feet marvel, surrounded with mountains and with the blue sky above, is overwhelming. The look on Lord Shiva’s face is so serene that it calms anyone who looks at him. The positive energy that exists in the place is overpowering. It is a feeling that one must experience in his / her lifetime. Shree Surya Narayan Swamy Temple situated at Bangalore in Karnataka India . is one among the few Sun God Temples in the world. The temple attracts thousands of devotees every day , besides on fairs and festivals which is conducted on Magha masa sudha trithiya, The temple is situated in heart of the Bangalore city with easy access by road, air and at the distance of 3 Km from Airport. 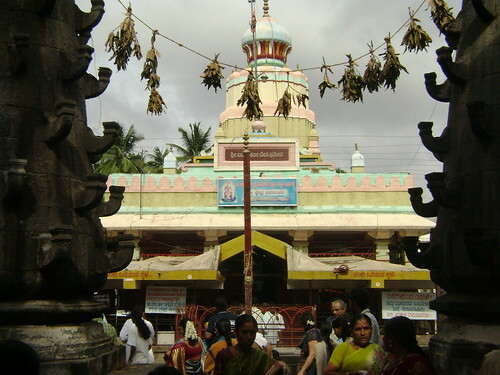 Banashankari Temple is one of most famous temple in Bangalore. It is an aspect of Maa Shankti. This cave temple dedicated to Shiva in Bengaluru is a well visited temple. 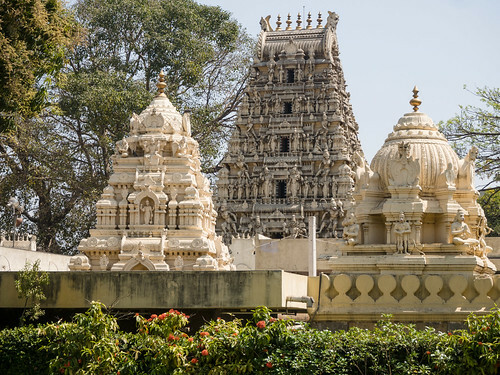 Built in the 16th century AD by Kempe Gowda, the founder of Bengaluru, Temple Gavi Gangadhareshwara is an architectural marvel that attracts the faithful by the hordes. One of the oldest temples in Bengaluru, Gavi Gangadhareshwara temple was built by Kempe Gowda in recognition after being released from prison of five years by Rama Raya. There are other idols inside idol Agnimurthi including having two heads, seven hands and three legs. Those who worship this deity believe will cure one of the defects of the eye. All of us are aware of the greatness of mother Supreme Sri Mahalakshmi the universal Mother Goddess,the giver of wealth, health, happiness and emancipation.Sri LAKSHMIDASA BHAGWAN, the first disciple of Sri Mahalakshmi, built this Mahalakshmi mandir during 1980 and performed “Kumbhabhishekam”.The mandir attracts a large number of devoteed from all parts of India. It is one of the most beautiful temples in Bangalore and every visitor to this city should visit this mandir & get blessing of Godess Sri Mahalakshmi. Jagannath Temple is a temple dedicated to the Hindu god Jagannath Located on Sarjapur Road in Agara in Bangalore.its main festival is the annual Rath Yatra, which sees more than fifteen thousand worshippers. Gigantic sculpture is standing on a Lotus pedestal situated on Sarjapur Outer Ring Road of Bangalore city. Omkar Hills is an area in Rajarajeshwari Nagar in South Bangalore. It includes one of the highest points in Bangalore. The main attraction is the Multiple-Faced Subramanya swamy which is located in rajarajeshwari nagar. Panchamukhi Ganesha Temple is located in Mysore Road which is 5 Faced & 30 Feet Idol from ground level. Kote Venkataramana Temple is a Hindu temple in Krishnarajendra Road dedicated to the god Venkateshwara. 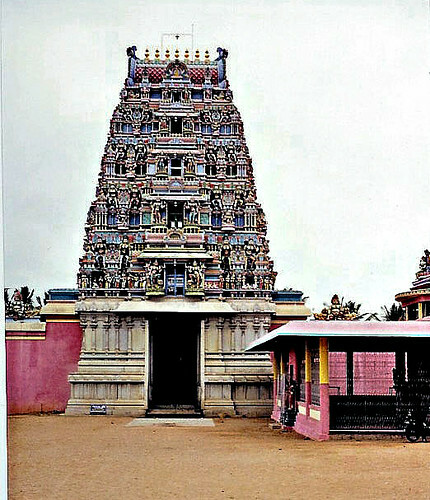 The temple was built in 1689 in Dravidian and Vijayanagara style. Shri Mahavira Digambara Jain temple is located in the Dewan’s lane of Chickpet area has an idol of Mahavira in the Kayotsarga posture. The idols of Parshva, Bahubali, Vimalanatha, Anantanatha and Brahma Yaksha are seen in this temple. A guesthouse for pilgrims, Mahavira Bhavan, Ahimsa Derasar and a well equipped library containing the books on Jainism are part of the temple complex. Shri Adinath Digambar Jain temple is a new temple built in Jayanagar, a suburb of Bangalore. The temple is built in white marble with colourful shades. The entrance gate is a nicely sculpted. Two white marble elephants are at the foot steps of stairs to reach the main temple. The first Sikh Gurudwara and the largest in Bangalore near the Ulsoor Lake on the Kensington Road, is an elegant and white structure.The large prayer hall accommodates about 500 devotees at a time. Special prayers are offered every Sunday. The temple wears a colourful look as special prayers are offered and more than a thousand people from all religions come here to worship. The Sri Guru Singh Sabha which manages the Gurudwara also runs a school, a medical centre and a function hall also provides accommodation to the tourists. Shri Nimishamba is incarnation of Goddess Parvathi,the consort of Lord Shiva. This is considered as holy place.God will remove all problems and troubles of her devotees within in a minute.Thats why she is called “Nimishamba”. Meenakshi Temple features Goddess Meenakshi is located in bannerghatta road.This place can be combined with Bannerghatta national park sightseeing. Chikka Tirupati or Venkateshwaraswamy temple is dedicated to Hindu god Vishnu located in Chikka Tirupathi, Malur Taluk, in the outskirts of Bengaluru in the South Indian state of Karnataka. Constructed in the Dravidian style of architecture, the temple is considered similar to the Tirupathi Venkateswara temple. Vishnu is worshipped as Venkateshwara and his consort Lakshmi as Alamelumangai. VITM has striven to fulfill its objectives of stimulating interest in science education among children and adults alike and to encourage them to pursue career in pure sciences. Examples of many young talents guided at VITM, who have reached new heights in their career in the field of Science and Technology, are legion. The structure was built entirely teak and stands adorned with pillars, arches and balconies. 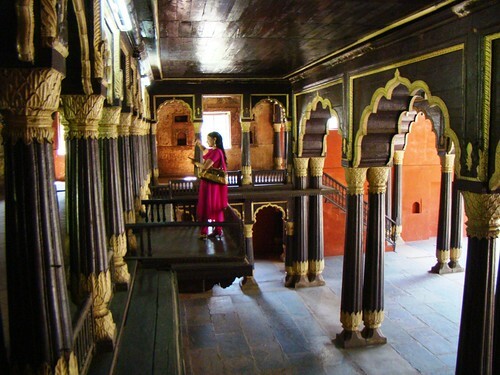 It is believed that Tipu Sultan used to conduct his durbar from the eastern and western balconies of the upper floor. There are four smaller rooms in the corners of first floor which were used to known as Zenana Quarters.There are beautiful floral motifs embellishing the walls of the palace. The site also holds a painting of grand throne visualized by Tipu Sultan himself. Coated with gold sheets and stuck with precious emerald stones, Tipu had vowed never to use it until he completely defeated the English Army. After Tipu Sultan’s death, the British dismantled the throne and auctioned its parts as it was too expensive for a single person to buy whole. The rooms in the ground floor have been converted into a small museum showcasing various achievements of Tipu Sultan and his administration. There are newly done portraits of the people and places of that time. There is a replica of Tipu’s Tiger, which is in the Victoria and Albert Museum in London. Tipu Sultan’s clothes and his crown are present in silver and gold pedestals. The silver vessels given by a general to Hyder Ali is also displayed. The Horticulture Department, Government of Karnataka, maintains the area in front of the palace as a garden and lawn. Devanahalli Fort is located 35 kilometers north of Bangalore city, at Devanahalli. It was originally built in 1501 by Mallabairegowda,which remained in the hands of his descendants until the mid–eighteenth century. In 1749, the then Dalwai of Mysore, Nanjarajaiah, attacked the fort and occupied it. Later, the fort passed into the hands of Hyder Ali and subsequently Tipu Sultan.In 1791, Lord Cornwallis laid siege to the fort and took possession during the Anglo-Mysore War. The birthplace of Tipu Sultan, also known as Tiger of Mysore, is located near to the fort.The fort is situated on the side of National Highway 7, near the Bengaluru International Airport. An Archaeological Survey of India (ASI) board outside the fort and at Tipu Sultan’s birthplace declares them to be protected monuments. Innovative Film City is an amusement and theme park with go karting, and stage and studio facilities. The Venkataramana temple is located near the old fort adjacent to what was once the residence of Mysore Wodeyar royal family, and later became the palace of Tipu Sultan, a later ruler of the Mysore Kingdom.The temple consists of a sanctum (garbhagriha) which is connected to a central hall (mantapa) by a vestibule. Jayaprakash Narayan Biodiversity Park (JP park) is on an 85-acre site at Mathikere in the north-west area of Bangalore. The park has four lakes, lawns spread over 25 acres, over 250 varieties of trees and shrubs can be found there all the time. The sprawling grounds surrounding the palace used to be used for holding public events including music concerts. Many international artists have performed in the grounds. Today a legal battle between government and the Mysore Royal family, has seen a band of commercial activities. Nevertheless, a number of private companies controlled by the royal family runs a number of wedding halls on the grounds. Bugle Rock is a massive rock in the Basavanagudi area of South Bangalore, in the state of Karnataka. It is an abrupt rise above the ground of peninsular gneiss as the main rock formation and with an assessed age of about 3,000 million years. Bugle Rock has generated wide interest among the scientific community. Karnataka Chitrakala Parishath is a visual art complex located in Bangalore. The complex has 18 galleries. 13 of these galleries carry a permanent collection of paintings, sculptures and folk art. The other galleries are rented out for exhibitions of works by artists of repute. The folk art collection showcases Mysore paintings and Leather Puppets. The Parishat runs The College Of Fine Arts, a visual arts college. The Parishath organizes Chitra Santhe, a cultural event, on January of every year. The motto of the event is “Art for All”. The event showcases affordable art to public. 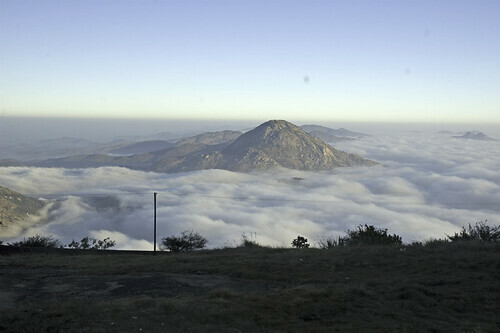 Nandi Hills or Nandi betta is an ancient hill fortress in southern India, in the Chikkaballapur district of Karnataka state. It is 10 km from Chickballapur town and approximately 60 km from the city of Bengaluru. The hills are nestled near the town of Nandi. In traditional belief, the hills are the origin of the Arkavathy river.